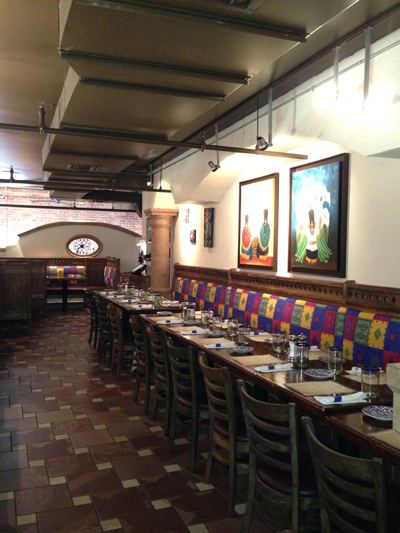 In 2006, the very first Casa Blanca Mexican Restaurant was opened in North Andover, MA by the Vargas family. Riding the waves of a good reputation and amazing authentic Mexican dishes, the restaurant has expanded its territory and its brand to two other cities in the North Shore of Massachusetts. The Vargas family opened their second location shortly thereafter in Andover, MA. The foundation for the Casa Blanca brand is built on the traditional Mexican values for hospitality and family. It is the mission of both families to immerse their guests in Mexican culture from the moment they walk in the door, by making every person feel at home and a part of the family. No matter which location you visit, rest assured that by the time you leave you’ll feel like a long lost cousin! In fact, at Casa Blanca, our customers always leave satisfied and amazed after every visit to one of our restaurants. This wonderful dining experience is not only built with our friendly service but with our freshly prepared dishes and enjoyable atmosphere. We welcome our customers to come and taste the difference— although the recipes differ slightly between the locations, all of our dishes at Casa Blanca are homemade from family recipes and prepared fresh daily. Once you give us a try you’ll never go anywhere else for fresh cooked, authentic Mexican cuisine. Here at Casa Blanca, we are grateful for all the help we’ve had along the way. We appreciate all feedback we have received from our customers and always welcome more feedback and comments to help us make our restaurants more enjoyable. We hope that you find this website helpful, and look forward to having you visit one of our locations soon!